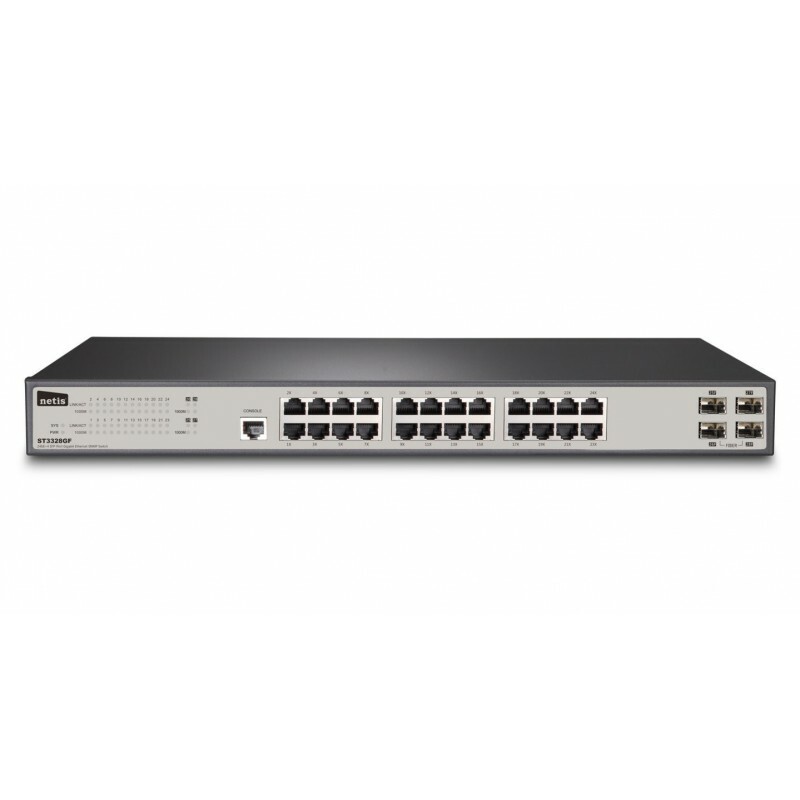 This ST3328GF switch from Netis, a switch for rack placement with 24 Gigabit ports. 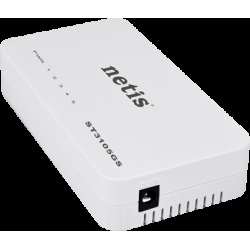 The Netis ST3328GF is a business switch with 24 Gigabit ports that allows you to easily migrate your company's network to Gigabit Ethernet technology. Increase both the speed of your network server and the main connections or bring the Gigabit experience to your network workstation. In addition, the technical specification of the ST3328GF offers lower power consumption. Thanks to its innovative energy efficiency technology, the ST3328GF saves up to 72% of electrical energy, which makes it an environmentally friendly solution for your company's network. 24 RJ45 Gigabit ports with automatic speed detection, support for automatic MDI / MDIX. Energy saving technology for Ethernet that reduces consumption up to 70%. IEEE 802.3x flow control allows reliable data transmission. With a metal housing, it is designed to be used as a desktop computer or mounted in a 19 "rack, although it can be taken as a Plug and Play, it offers SNMP management. 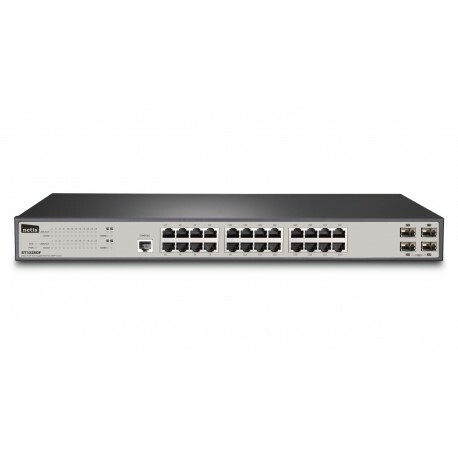 This managed gigabit switch from the Netis manufacturer of 24 ports 10/100/1000 + 2 or 4 Gigabit SFP with SNMP management complies with all the requirements of the Gigabit and Fast Ethernet regulations. 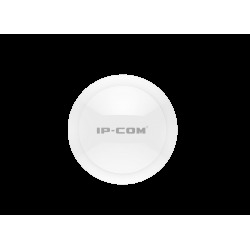 It includes remote management functions, being indicated as a headset in medium-range networks. All ports are Auto MDI / MDI-X, and have a throughput bandwidth of 52 Gbps. Among the functions it has are QoS (Quality of Service), Port Mirroring, VLAN, Static Link aggregation, LAN Security, IGMP Snooping and SNMP v3. It is also fully integrable in SMB management applications. The remote management software under the browser allows you to configure all the functions with a simple click, making the work of the network administrator extremely simple and comfortable. The configuration can be saved to be used in the future, it also allows the configuration of several switches at the same time through the Ethernet network, and only a browser installed on any of the computers in the network is necessary. 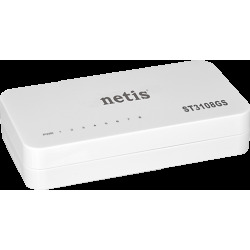 In addition, management via Telnet or Console can be used through the RJ45 / RS232 port included. I EEE 802.3x, Flow-Control in Full-Duplex, Back-Pleasure. ANSI / IEEE 802.3 Auto negotiation. 24 RJ45 ports 10/100/1000 Mbps. Auto MDI / MDI-X. Up to 4 Vlan Groups, and up to 4094 stations. 802.1 tag VLAN per port. Entry rules and control filter. 802.1x Network Access Security: Provided authentication by port via MAC based on Radius Server. 432 x 250 x 44 mm. 19 for Rack installation. Working: 0 to 40 ° C. Storage: -40 to 70 ° C.
From work: 10 to 90%. Storage: 5 to 90%. Internal 100-240 VAC, 50-60Hz, 40 W.